According to WBHS tradition, this time of year means milk cartons being dropped 50 feet from the roof of the auditorium. This tradition was a project done for physics class. 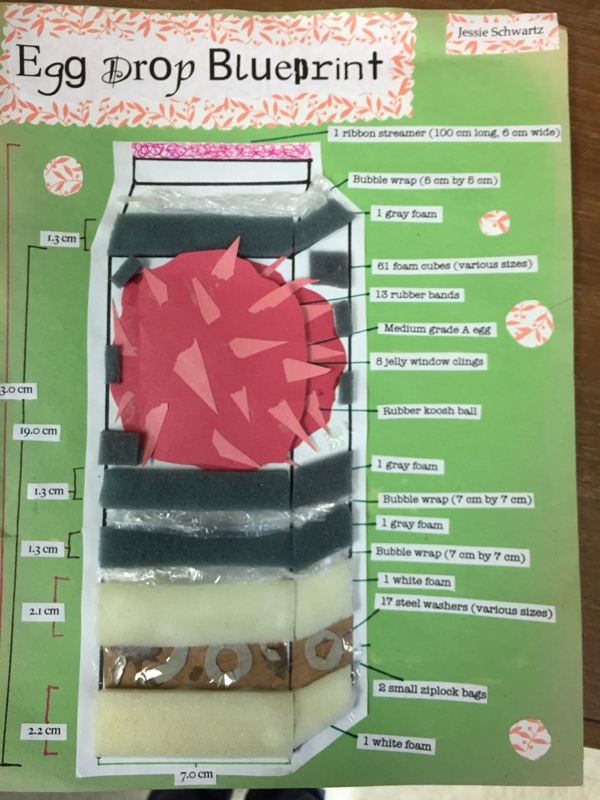 Students were required to construct a protective system in a milk carton that would keep an egg, which was placed inside, from breaking. They could use whatever materials they wanted, but many students opted to use packaging materials, such as Styrofoam peanuts. Other students got more creative, using jell-o, shampoo, or even tomato sauce. But now, for the first time in over 30 years, the egg drop has been canceled. This longstanding tradition was enjoyed by many generations of West Bend physics students. The project was a classic physics project, and a great way to apply what students had learned about motion and acceleration. Student blueprint for an egg drop. Click to enlarge. So why was the egg drop canceled? The decision was made due to safety concerns by people at the district level, according to Prost. Many people are still confused as to why the egg drop was allowed for so many years, but now suddenly canceled. Principal Bill Greymont, who was not responsible for making the decision, said that he was unaware that this activity was canceled and that he himself had done a similar activity when he was in high school more than 30 years ago. Prost said that he was informed by Tom Frigge, one of the district’s operations managers, that the event had to be discontinued. Frigge did not return repeated emails and calls for comment. Anna Johnson, a current AP Physics student, was saddened by the decision. “I was super excited, because I was looking forward to the cliché egg drop that you see in the movies. I thought it was really cool. When it was canceled I was disappointed and kind of confused,” Johnson said. Update: In an email, teacher Richard Prost said that he received word Tuesday morning that the project has been reinstated. “Just got word from Mr. Neitzke that he disagrees and that we have the green light to do the project. Obviously now we have to wait until the weather warms up. Interesting how powerful even the student press can be!,” Prost said. Neitzke is the district’s superintendent. Jessica Schwartz, 2011 East graduate, poses with classmates during the traditional WBHS physics egg drop. So what you are saying is that for one day, not one person, student, faculty, or staff (stress the physical plant on the last one), was not qualified to crawl up to the edge as I did twenty years ago, and gently release a container to flutter (some rocket) to the ground. A few minutes over a few periods. How about, instead of eliminating opportunities for hands on education, maybe the district coul install a cable for a safety harness system, or, as a long shot, do a crazy thing and partner with some engineering, and have a project with a welded portable barrier for the event. I know. Horrible idea. Why would we want to teach those about taking an idea, creating that vision, then building a team to solidify a solution, walk through the approvals and funding process, assemble a team to fabricate and see it all come together. Naw, why teach effort when you can just sit on the couch and quit. A sad day for physics. Instead of cancelling the activity, can’t they find another way to do this? Maybe rent some scaffolding? See if someone somewhere can let them use a safe space for this once a year event… Education includes creative problem solving. Good way for students to experience the lesson of community working together, too. Good one, Bob! But yeah, can’t they do a waiver or something? Next thing you know they will ban the construction of highly flammable rockets and launching them off the practice field for power and energy class. 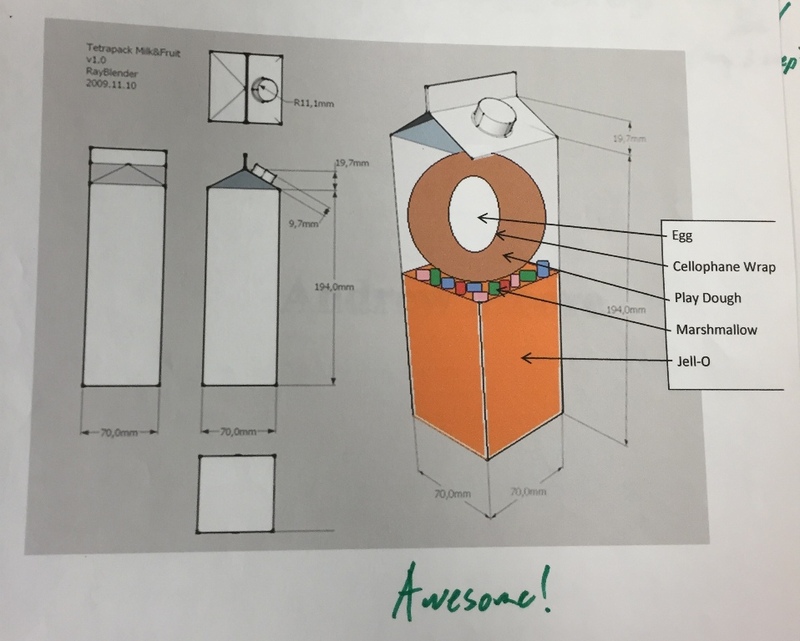 Why not have the physics students design and create a carton launcher, which flips their cartons up 100 ft in the air and they then drop…without having to do so from the roof? Hannah, did you hear Mark Belling complimented your reporting on his show on Tuesday? He said you did better than most Journal-Sentinel reporters as far as tracking down the people involved & getting quotes. He even said you have a “great future”! Congrats! !